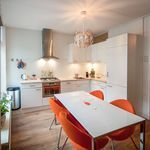 Property 3: Renovated 4 person holiday home in the middle of the "Lauwersmeer National Park"
Property 4: Historical, stylish holiday home with sauna and steam bath: private spa! Property 8: Cosy shippershouse where you can sleep underneath the stars! 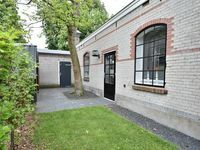 Property 17: Guesthouse is bordered along the garden of the Witrokken. Property 19: Vacation home on the outskirts of the Frisian village of Kollum. Property 27: Finnish holiday villa with sauna, located in its own 2400 m2 forest land. Diet is a wonderful host, and her apartment is charming. It is perfectly located on the edge of the city center. I highly recommend this home.